Australia is a crazy place to reside climate-wise. We live between drought and flood, cyclone and dust storms, biting arctic winds in the extreme south and near-equatorial heat in the far north. Our household on Mitchells Island has been under a heavy blanket of rain over the last few days. I cancelled the Patanjali study class yesterday because I thought the students might have trouble getting in and out, with water levels rising. Our local waterfront cafe has been flooded, not as bad as the inundation of 2011, but still, it’s closed for business for the next while. Our beach is covered once again with sticky foam and seaweed, plus driftwood, washed down from the Manning River. Our closest town is experiencing moderate flooding from the same river and workers are out in force with truckloads of sandbags. You might wonder how there can be any bright spot on the horizon with such dismal weather. Well, there are always surprises living in the country. I woke this morning to the sound of bellowing cattle, so I grabbed my camera because I had an idea about what might be happening. 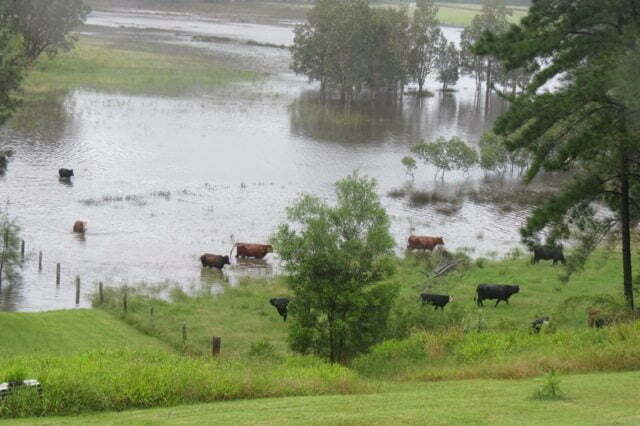 The herd had gotten marooned on the wrong side of Farmer Scott’s pastures and were complaining loudly as they forded the flooded paddock. 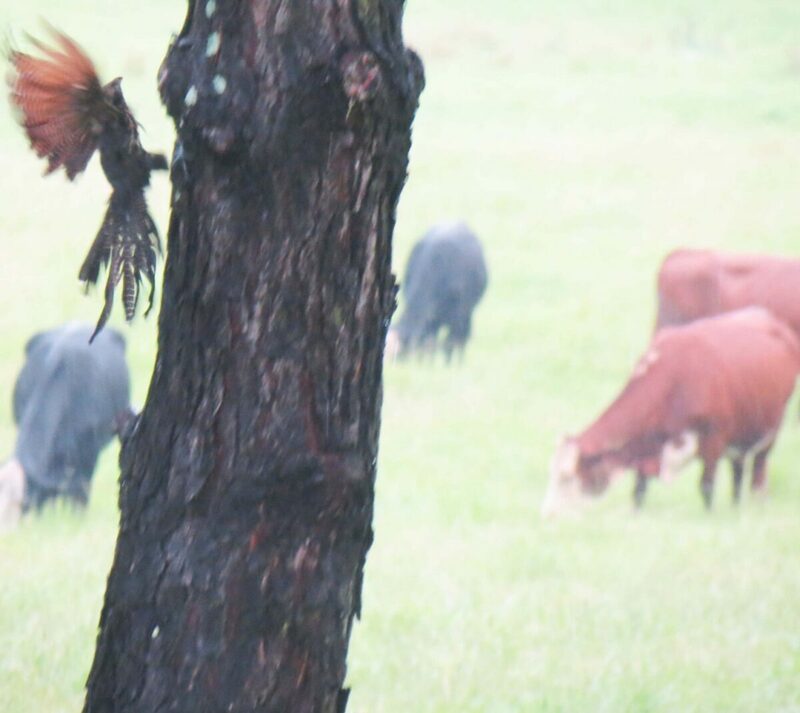 Then, I spotted a shy pheasant coucal on the wet lawn and when it took off, I captured it in flight! Finally, as I was leaving to get out of the wind and slashing rain, I spotted a lone white-faced grey heron…. Opening up to a weather pattern, not resisting it, can be seen as another yoga practice – simple mindfulness.